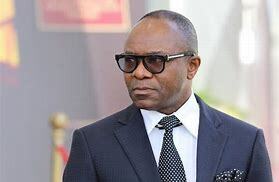 The Ministry of Petroleum Resources has just issued a strongly worded statement in reaction to recent media reports claiming that, the House of Representatives on Thursday, 24th January, 2019 said it would investigate the Minister of State for Petroleum Resources, Dr. Emmanuel Ibe Kachikwu, over alleged irregularities in the ongoing oil and gas lease renewal. The report further stated that the House would also probe the involvement of the Department of Petroleum Resources (DPR) on the same matter. The ministry said the process was transparent and followed due process. ” It would be of essence to note that the early lease renewal programme is a process ingeniously developed to expand and speed up earning potential from the renewal programme for the Federal Government and to also create security of title to leaseholders so as to allow them continue the massive investments needed to improve production from their fields, said the ministry in a statement. ” The Ministry of Petroleum Resources would like to affirm most definitely that there are no irregularities associated with any lease renewal undertaken by the Ministry of Petroleum Resources and particular, the Department of Petroleum Resources. ” The process would start with an application from a lease holder, an evaluation from Department of Petroleum Resources, followed by a review by the Honourable Minister of State, Petroleum Resources and culminating in a recommendation to the President for final approval. ” We would like to state that the Minister of State and DPR are proud of the enormous work done on early renewals, the unprecedented revenue raised under the programme, and the effect it has had on investment. The Ministry would also use this opportunity to clarify that the early renewal programme applies only to renewal of existing leases and does not involve issuance of any new licenses for oil fields.